Distribution: Jamaica only (if a good species). Source of record: Jamaica is type Locality. Method of identification: illustrated in colour by Seitz (1925) plate 65, fig. f 4. Notes: this 'species' may be a form of H. vinosa. 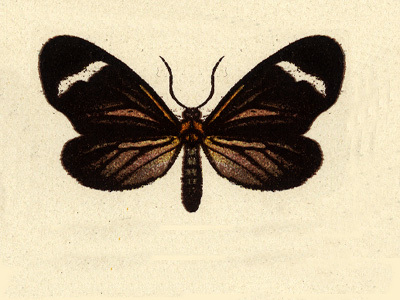 The illustration used here is modified from Seitz (1925).